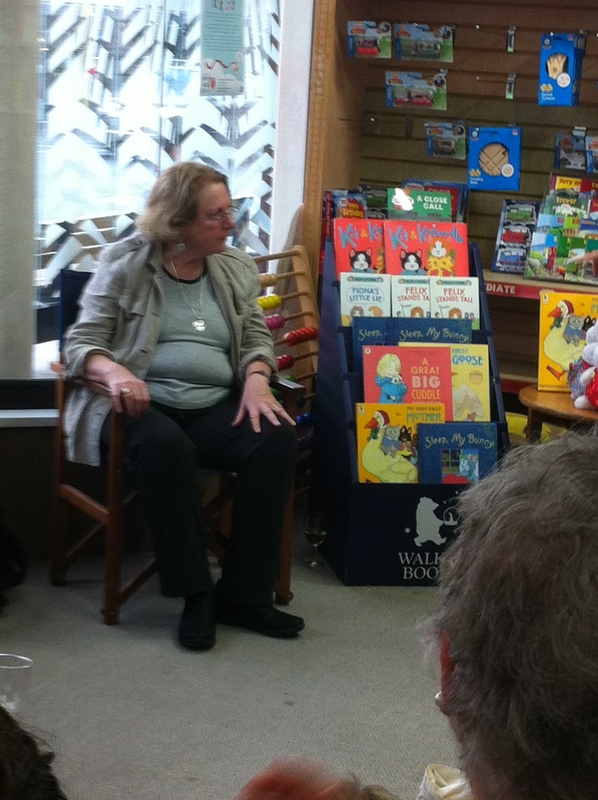 After arriving earlier in the day to a rather wet Auckland , renowned Author/Illustrator Rosemary Wells in an informal get together spoke to our NZ SCBWI group at The Dorothy Butler Children’s Bookshop last night.to share her wisdom and tips on her craft. Gathering around after refreshments many of our kiwi authors and illustrators also gave a show and tell of their books introducing Rosemary to NZ children’s literature. She marvelled at the illustrations of many of the books on show. I loved listening to Rosemary tell of how her ideas come to her. An example was a refrain she wrote in the car and then the next day she wrote the story. Also her thoughts on how children’s literature is received. It’s true much of NZ’s literature is specific to NZ and while people enjoy reading it, it is not so easily picked up by American publishers. Rosemary’s advice on writing what you know, and write universal themes will gain a wider readership outside NZ, leaving the NZ specific’s in the background. When an idea strikes, for her the words come first before illustrations. Without words there is no story. 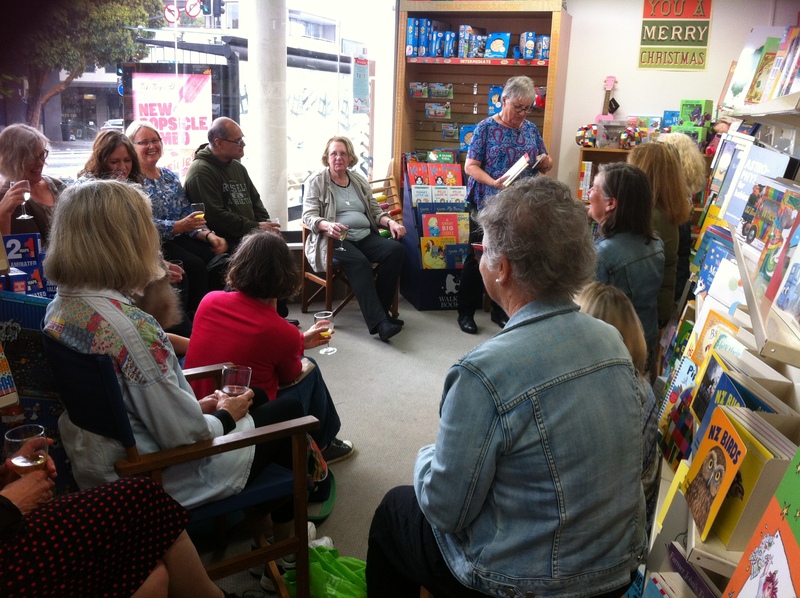 We were very lucky to have Rosemary Wells chat with us, and we delighted in her advice and encouragement. After two days in Auckland Rosemary and her daughter are off to New Plymouth and Christchurch to visit friends. Rosemary Wells is an American writer and illustrator of over 120 children’s books. She is well known for the Max & Ruby series Noisy Nara, and Yoko. She travels all over the States as a tireless advocate for literacy. She worked as an art director and designer before illustrating her first book. This entry was posted in Children's literature, Literature, Picture book, SCBWI and tagged Children's Stories, Children's writers, Frances Plumpton, Rosemary Wells, SCBWI. Bookmark the permalink. How wonderful to have Rosemary as a guest speaker. It’s always nice to hear from other authors. Very motivating. Thanks Darlene, yes it was.